“The perfect pickled onion should be a balance of briny and sweet,” says NoMad barman Leo Robitschek. 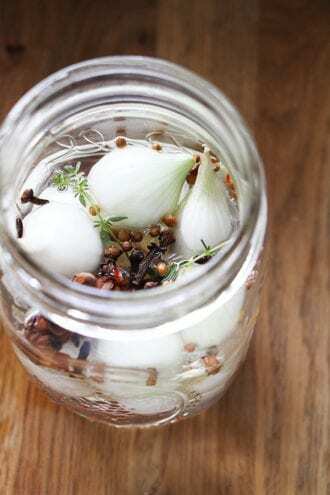 “It should be fully pickled while still retaining a slight crunch.” To achieve this,Robitschek creates a pickling liquid that preserves and elevates the flavors of the onion and adds some extra spice, which he says brings out the umami notes and brininess. 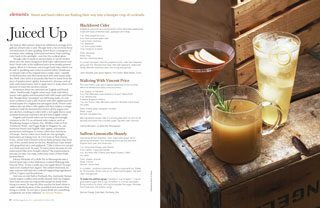 Make a batch for your next round of Gibsons. Combine all the ingredients except the onions in a pan. Bring to a simmer, then remove from heat and allow the liquid to reach room temperature. Once cooled, pour the liquid over the onions in a large jar and cover for 2 weeks.